When it comes to action cameras, there are many different kinds of models out there. However, we do know that virtual reality cameras are catching up in terms of popularity, allowing one to record an environment where it is possible to capture a realistic look of the surrounding place before sharing it with the rest of the digital world. HumanEyes Technologies has come up with the Vuze XR Dual Camera, where it allows anyone to gain the power to create as well as share immersive experiences In 360° (2D) as well as VR180 (3D), and all of this at the touch of a button. A single button press will enable the Vuze XR to transforms from a 360° camera to a VR180 camera, allowing content creators to spontaneously tell any story, from virtually every angle. This means both consumers and prosumers alike can capture and share engaging content, life’s adventures as well as memorable moments in stunning 360° (2D) or stereoscopic VR180 (3D), using a solitary innovative device without having to tote around two devices with a single purpose each. Apart from that, you will be able to create and share both high-resolution photos and full motion video, in addition to doing so in either 5.7K 360° or VR180 formats. 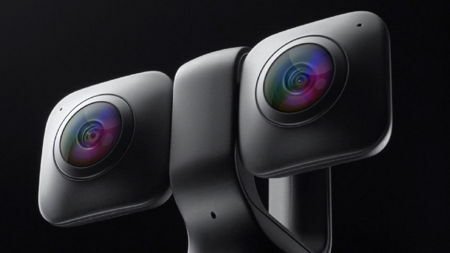 Expect the Vuze XR Camera to be made available to the masses some time in the fourth quarter of the year, where it will be able to transform storytelling through the provision of visual dynamics of a full 360° camera, all using a single click in order to convert to an immersive VR180 format. This unique dual-camera form factor makes it extremely portable and simple-to-use, where it will seamlessly combine a couple of advanced capture systems into a solitary pocketable device. Expect it to retail for somewhere in the $400 price point range when it is finally available for purchase.